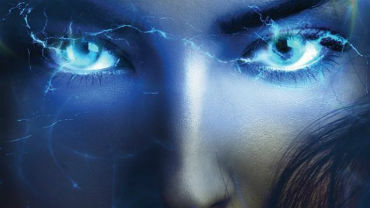 The benefits of opening your third eye can be profound on your being. Our everyday life and the modern style of being mentally busy can lead to us losing touch with our innate gifts. Here we explore the 6 of the most popular advantages that come with activating the Brow Chakra. Do you want to stress less, sleep better, and show up every day as the best version of yourself? The 6 Benefits of Opening Your Third Eye. Many people believe that the mind’s eye functions as a spiritual gateway through which you can see beyond time and space. In short, when one activates the Brow Chakra, personal perceptions will start to exceed the limits of the material, physical word. As the mind awakens to the realm where spirits exists, one connects to a plane of being where time doesn’t exist. And this leads to a number of fantastic advantages. 1. Greater Awareness / Awakening. The metaphysical awakening of your sixth chakra opens our eyes from a long spiritual lethargy. This allows us to begin to perceive the “Truth” that surrounds us. What this means is that you begin to see the world as it its: with its inequality and misery. And once that occurs, you will not want to close your eyes for what is happening. You will feel a desire to be free and live in a world filled with love, compassion and truth. Eventually, you will feel and see the interconnectedness with everything around you in nature and develop a strong bond with the Universe. This is a deep sense that allows you to see the beauty in all things and to realize that your physical I is not your true nature. 2. Psychic Powers / Empathy. Your instincts are as a well-adjusted compass that points you in the “right” direction to achieve what your soul is looking for. When the Ajna wakes up, you are able to read instinctive signals far easier until they become almost like another sense, hence the term sixth sense is derived from. It’s almost like you know what will happen and what will be the results of certain events. That’s why some people think that the most notable prophets of our time had an open third eye all the time. The feeling that we are all part of the same whole also becomes clear and you are capable of empathy with others, knowing that they are part of the same universal consciousness. And have you found your True Calling in life already? The Mayans invented a special system known as the “mayan code” that reveals what you were “coded” to do at birth. Find out the reason why you are brought here! 3. Laws of Attraction / Space Order. As a result of awakening the Muddy Pellet (another name of the 3rd eye), the Brow chakra is activated, which in turn facilitates to align your seven chakra system. When you are energized and in harmony with the Universe, you are like a giant magnet for events, people, situations etc. By harnessing the power of the positive intent, gratitude and love, you can manifest much more beauty in your life. You will become aware that the number of useful “coincidences” will greatly increase. 4. Vivid Dreams / Lucid Dreaming. Since your pineal gland regulates your sleep cycles, you will find that you sleep much better and that your dreams are more vivid. You could also be lucid dreaming. This means that you will feel that you can control your dreams and you will be able to realize your true infinite self and the infinite possibilities that exist in a state of sleep. Additionally, you will realize that this world of dreams is the same as the “real world” in which we live. For example, the fact that we have unlimited possibilities and we are all masters of our own universe. 5. Astral Travel / Astral Projection. 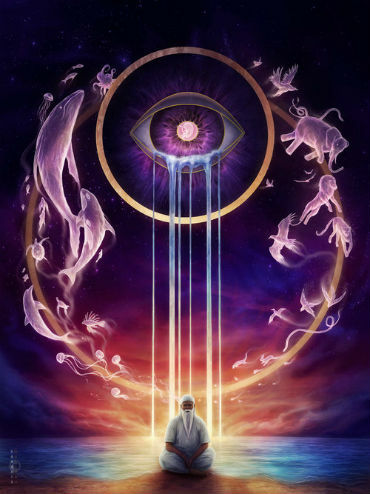 When the third eye connects to this level of existence where there is no time and space, our soul is able to rise above the physical body and astral travel in time and space. It has the ability to go anywhere in the universe and at any time in the universe. 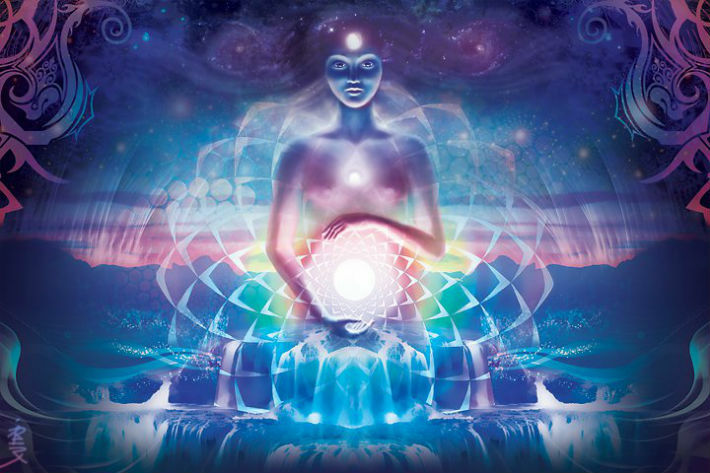 Many people belive that when we dream, we actually astral travel, and with wide opened third eye we are able to consciously astral travel while we are awake, for example, when we we are in a state of meditation. 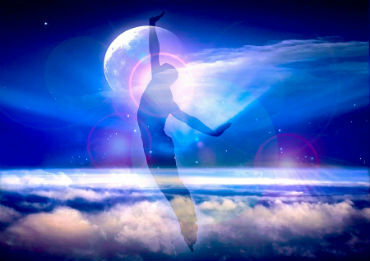 Read: 3 Astral Projection Methods for the Novice. With activated pineal gland, you are continuously connected to the plane of existence where our souls reside. In the plane of existence, there is no time or space, just an endless love and truth – everything that has happened and will ever happen already exists in the plane of existence. Seems close to what are the akashic records, don’t you think? 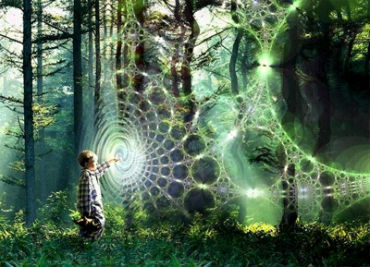 After connecting to it, you will find that your imagination and creativity are super charged. You gain the ability to find quick solutions to problems much easily because all the solutions to all possible problems in the world exist in the higher planes of consciousnes. Along with the ability to have vivid dreams and lucid dreaming, your imagination will be sparkled to a whole new level. We would really love to hear what are your views on the benefits of opening your third eye. Tell us in what way this information helped you or what do you find not in right place and needs to be changed? Clairaudient: The Amazing Things You Don’t Know About This Gift! Ok, so I believe I accidentally activated my third eye once with the use of marijuana, or I was severely tripping out. What I felt and saw still terrifies me after a year and a half. I don’t know if I would want to reactivate it on purpose due to this fear. Let me know what you guys think, please. A person can open his third eye with his pure intention. And you might have accidentally activated it. What you have seen is only a mirror of how you feel subconsciously. You might not be aware about all your feelings so you might want to be careful if you decide to open your third eye. To have a pleasant experience, one has to raise his vibration and eliminate low vibration. Hey Georgi, so how do we raise our vibration and eliminate lower vibration. Today is the first day I have come across all this and not sure where to start or go from here. Thank you for your reply. I’ve written a post about it. Check it out. What did you encounter? Can you describe it? Great article! I will start working on the awakening of my third eye. Georgi, where else I can find articles about the pineal gland? I really want to start studying all these more in-depth. Thank you for your time and knowledge. Namaste. Why can’t every human being know and accept the truth so we can live in a world with full of love and no hate. Live their life to the fullest while giving back. They are the masters of the universe and realize nothing can stop them. Being in higher-vibration can impact your life in every aspect.